SIGN MY PETITION TO BRING BACK THE BIG EASY! Tony Crane was on the November 10th's episode of CSI on CBS. He played Police Officer Tiner. 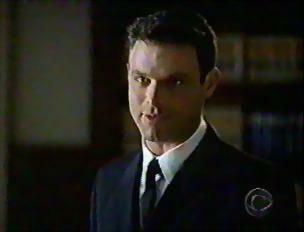 Tony Crane was on a fifth season episode of JAG, "The Return." He played the SECNAV's son, Lt. Nelson, whom Harm Rabb (the star) was defending. For more info on this episode, click Here. Susan Walters was on the Disney Channel movie Horse Sense with Joey and Andrew Lawrence. Da Big Easy's been visted times. BIG EASY, BABY!